In the most homes TV occupies a central place. Nowadays it is usually in front of it where the family gathers. 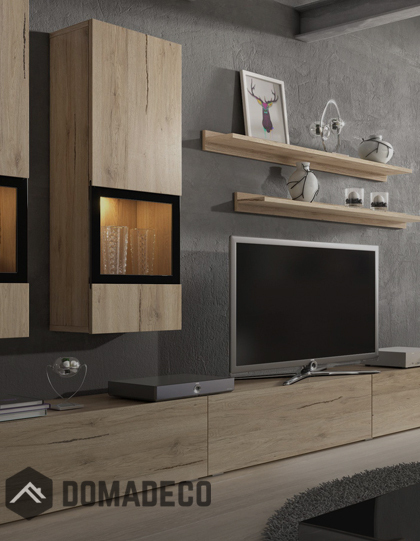 Modern models equipped with a flat screen can be successfully hung on the wall, however also in this case, there should be a cabinet, which could store the necessary accessories, such as decoder or remote. We can also set the speakers or other equipment - home theater or playstation. The cabinet also hides protruding cables that do not look too impressive. Choosing RTV cabinet we should finally pay attention to the style in which our interior is kept. Scandinavian style became present in our surroundings for good. Due to its versatility and simplicity it is easy to select the add-ons. The interior in Scandinavian style is kept in bright colours complemented by accents of gray, black and steel elements. Furniture should be stripped of all ornaments and create simple geometric shapes. If we are looking for TV cabinets in just such style, we should pay attention to the furniture made of wood, simply shaped. It can be white with elements of natural wood and glass. 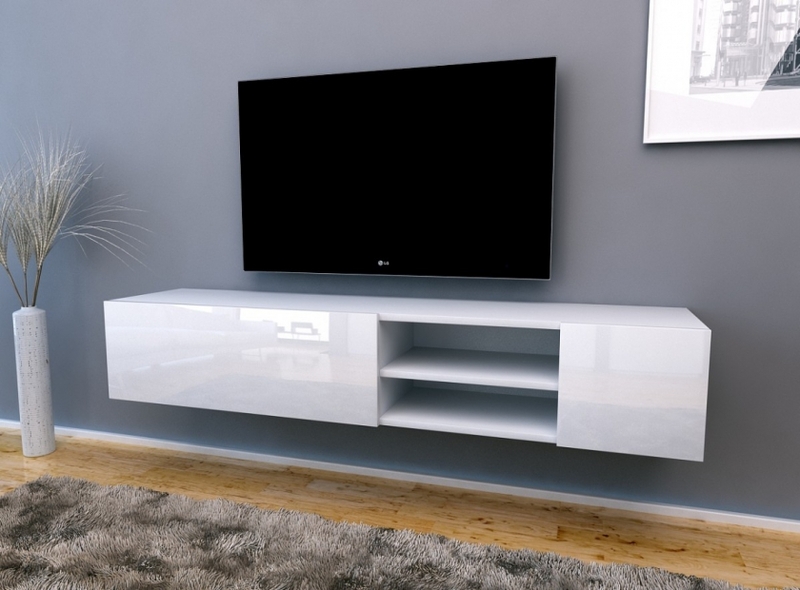 The minimalist look of the RTV cabinet certainly fulfills the interior in this style. Classic style is the safest because it is timeless and will not fade away soon. Classic interiors are kept in bright, neutral colors. It is dominated by wood, upholstered chairs and skin sofas. The entire design should be elegant and harmonic. Looking for TV cabinets for such an interior, we should bet on solid wood, and decorative elements such as gougings or decorated legs. Colour of the cabinet should be compatible with the other furniture in the room. Lovers of this style combine classic elements originating from the Far East or Africa. They are mostly travelers, who store souvenirs from distant expeditions in their home. Furniture typical for colonial style are made of dark, exotic wood. Of course, not everyone can afford to travel far. Fortunately accessories in colonial style we also purchase online. These can be maps, globes, pictures, and exotic plants. RTV cabinet in colonial style will be characterized by the aforementioned dark wood from which it was made. This may be for example indian rosewood or mango tree. The cabinet can have a hand made decorations, which makes it become a true work of sculptural art. The flat in the style of boho looks like it is seemingly consisting of completely mismatched elements, but amazingly creating coherent whole. Furniture and decorations are colourful and also quite different from one another in terms of style. If you are lovers of boho style, choosing a RTV cabinet, you should target furniture richly decorated and mostly handmade. This could be an ornamentation in the form of grooves or hand-painted door. The premise of boho style is that the furniture in addition to its practical role also serves as a decoration. At the moment we started hanging TVs on the walls it was predicted that the RTV cabinets cease to apply. However, it turns out many people still choose to buy it. It allows you to keep the cables right and equipment for your TV. You can use it to store other documents, such as operating instructions or papers needed for a possible TV complaint. Then you will be sure everything is at hand if necessary.